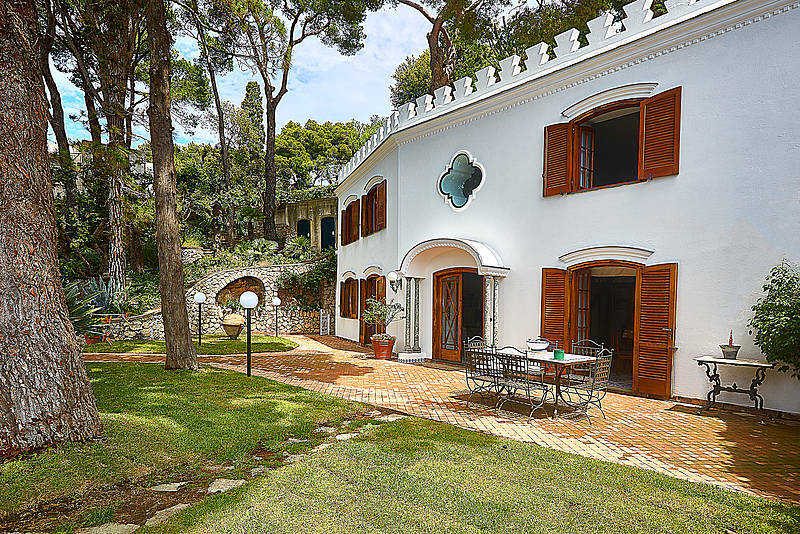 Casa Morgano Capri: 3 reasons to book here | Capri Booking. 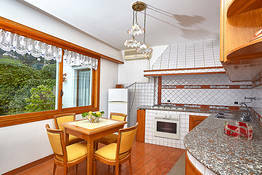 Featuring a balcony or patio, this air-conditioned room comes equipped with a satellite flat-screen TV and free Wi-Fi. No sea view. 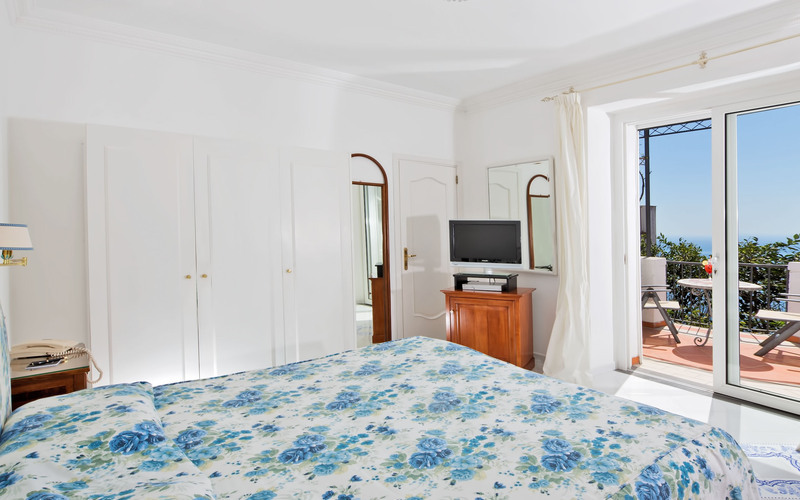 Featuring a balcony or patio with garden view, this air-conditioned room comes equipped with a satellite flat-screen TV and free Wi-Fi. 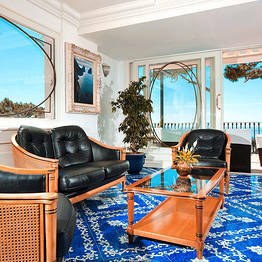 Featuring a sea-view terrace, this air-conditioned room has antique furnishings and vaulted ceilings. It has a satellite flat-screen TV and free Wi-Fi. 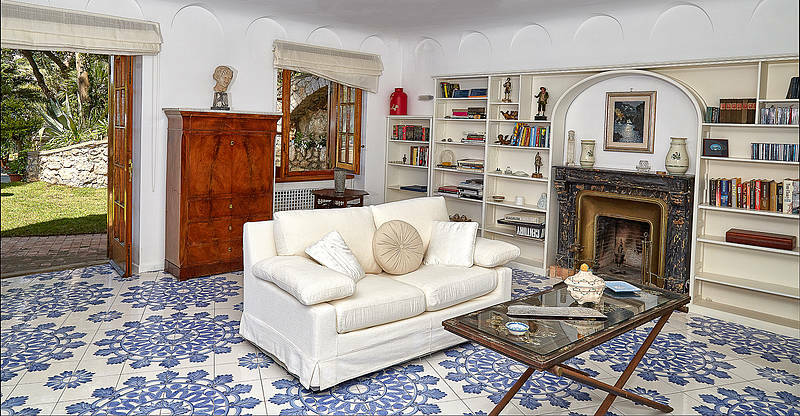 Featuring a balcony or patio, this air-conditioned suite comes equipped with a sitting area, antique furnishings and vaulted ceilings. 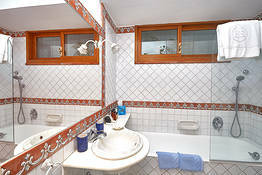 It has a satellite flat-screen TV, free Wi-Fi and a bathroom with whirlpool bathtub. 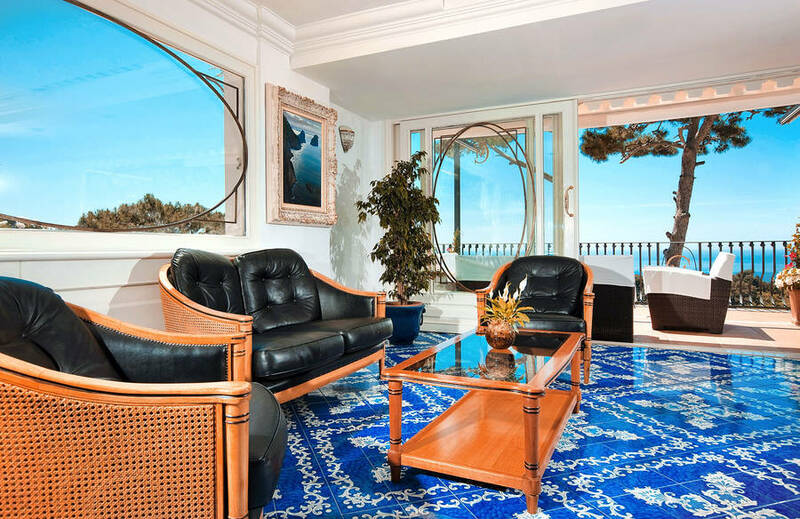 Featuring a balcony or patio with a stunning seaview, this air-conditioned suite comes equipped with a sitting area, antique furnishings and vaulted ceilings. 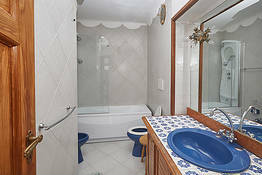 It has a satellite flat-screen TV, free Wi-Fi and a bathroom with whirlpool bathtub. 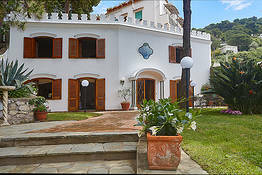 The rate include breakfast, taxes and all services & facilities of La Scalinatella. 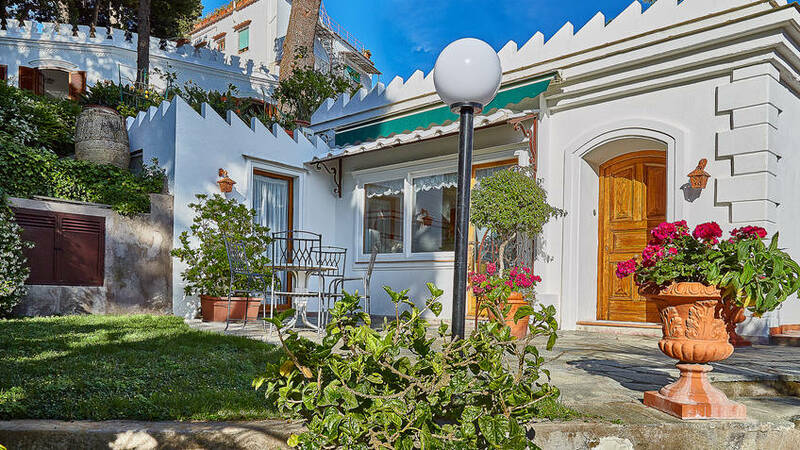 Ground floor: large sitting room, separate & fully equipped kitchen, separate area for dining, bathroom and spacious sea view terrace with sun beds and chairs in the garden. 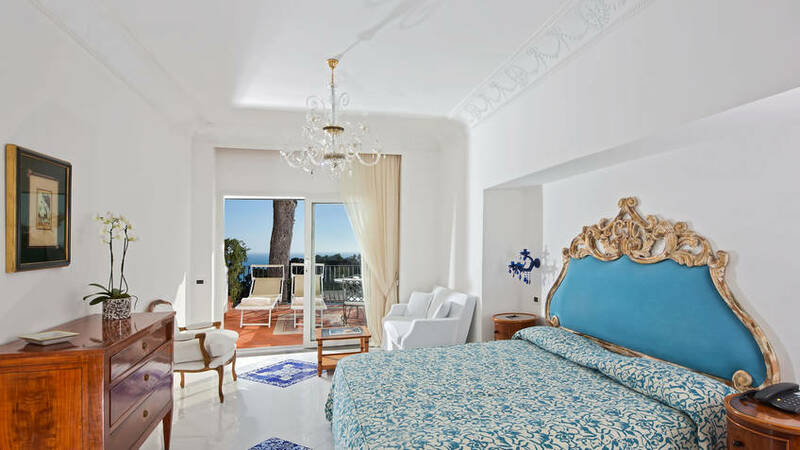 Casa Morgano is one of Capri's most elegant hotels, in which the classic lines of the island's traditional architectural style create an environment of undisputed charm. 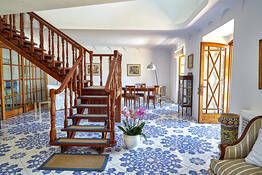 Within the walls of the hotel, each and every detail contributes to the exclusivity of this much-loved property: luxurious furnishings, floors paved with exquisite majolica, intimate sitting areas adorned with delicate stucco work, feature in the spacious rooms which lead out on to panoramic, sun kissed terraces. 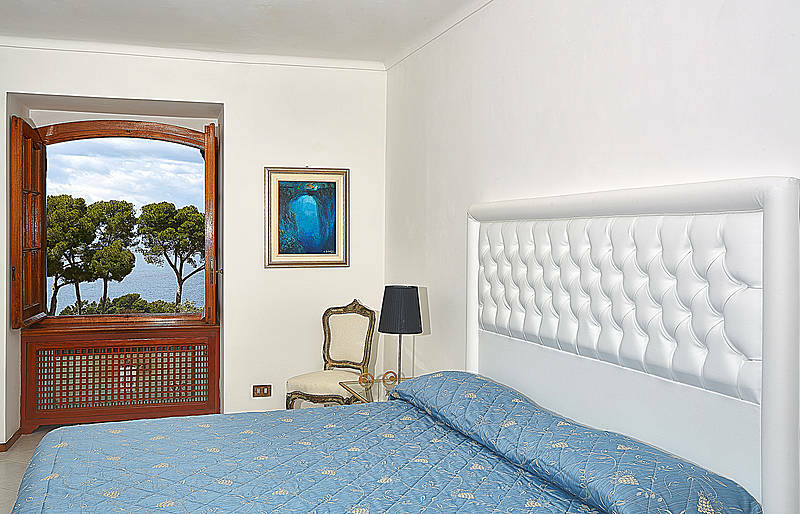 The same elegant style of the public rooms can be found in Casa Morgano's beautifully appointed bedrooms and suites, in which both luxury and comfort are guaranteed. 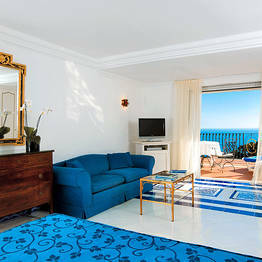 Almost all of the rooms boast their own private terrace, furnished with comfortable sun loungers. 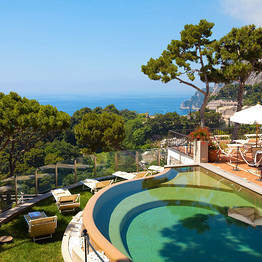 The hotel's large panoramic terrace provides the ideal setting for Casa Morgano's fabulous swimming pool. 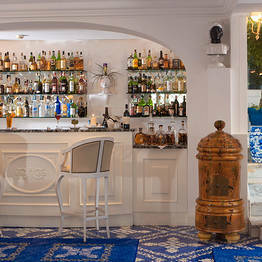 Delicious snacks and Mediterranean specialties are served on the poolside at lunchtime. 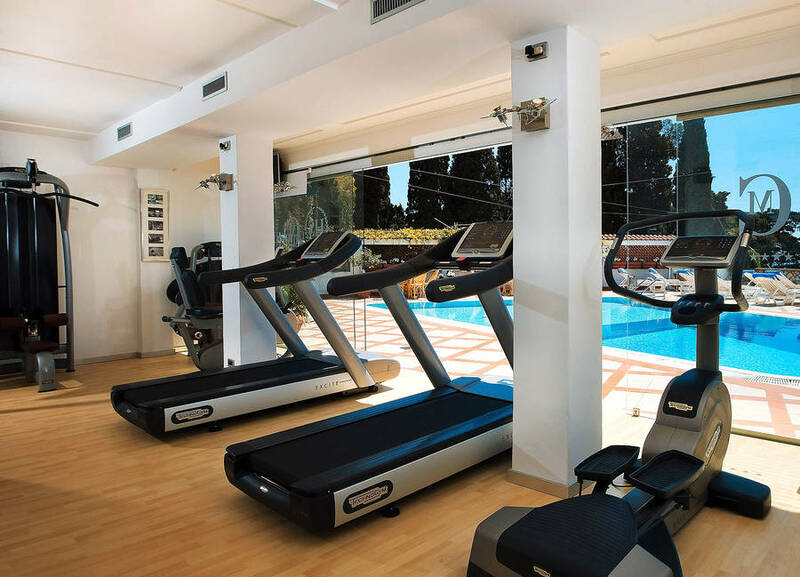 A relaxation area with well equipped gym is at the disposal of those guests wishing to maintain their fitness routine whilst on holiday. A tennis court is located just a few moments away from the hotel. 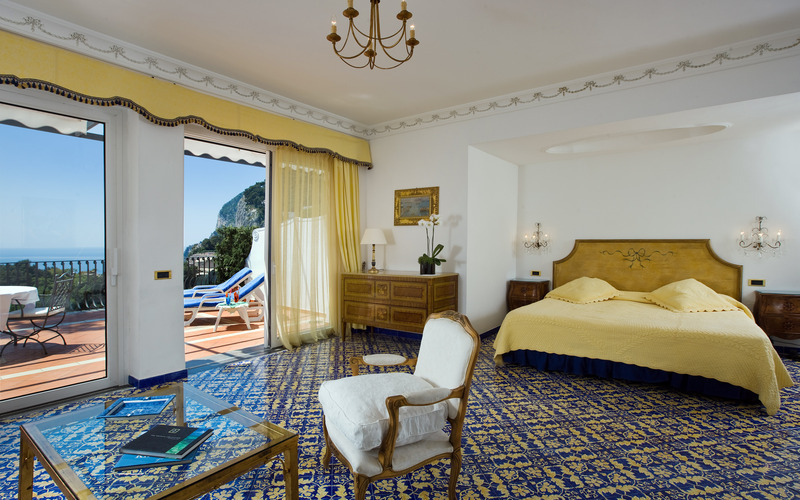 "The location of the hotel is fantastic: within easy reach of the Piazzetta of Capri and yet far from the chaos. " "This hotel really surpassed all our expectations. 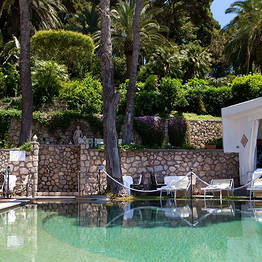 The level of courtesy of the staff, always helpful and giving good advice about where to go, eat or simply what to do." 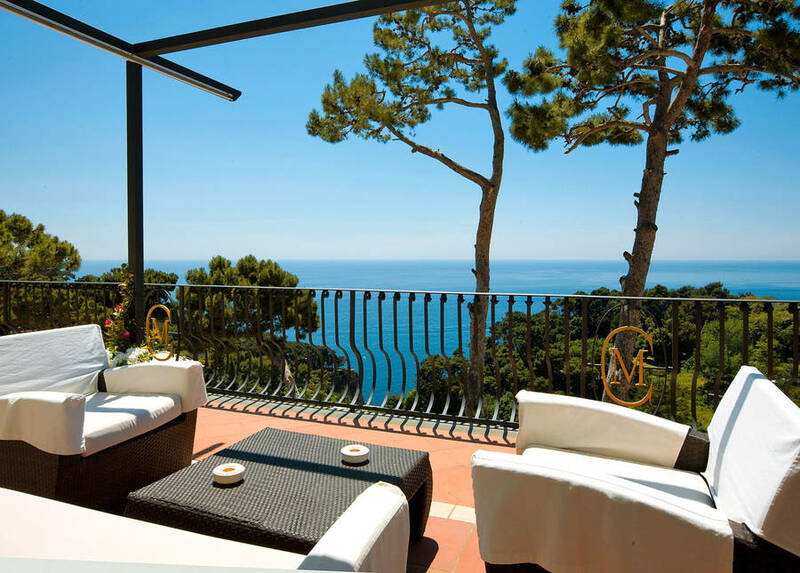 "Casa Morgano is exactly what you would expect from a luxury boutique hotel in Italy: small, intimate and with impeccable service. " 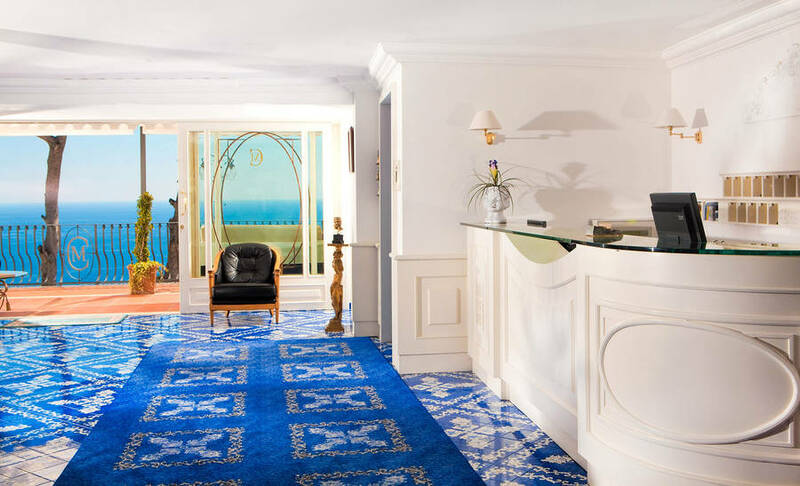 "Even though we stayed right at the end of the tourist season, when the hotel was almost empty, the level of service was still exceptionally high. " 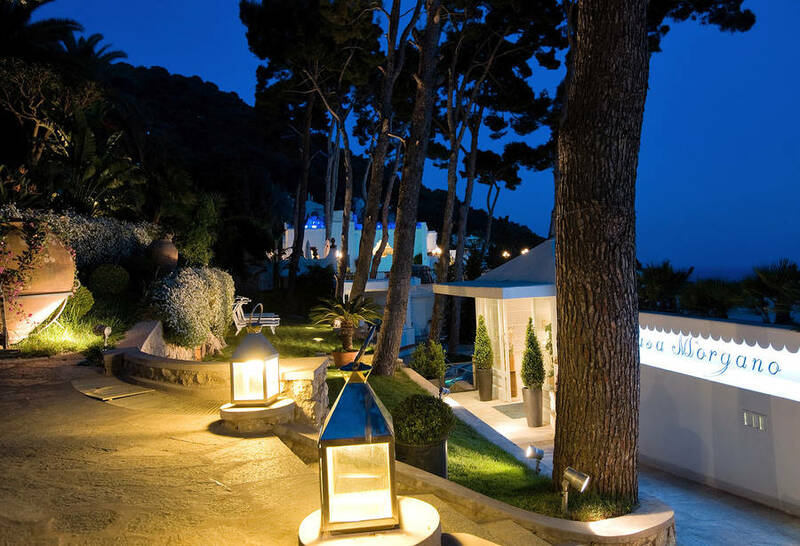 "Fabulous hotel: peaceful yet central. 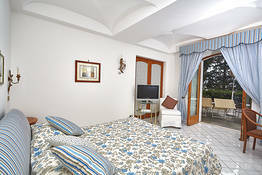 The limited number of rooms creates an intimate atmosphere. 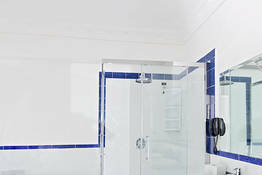 Service was discreet and attentive." 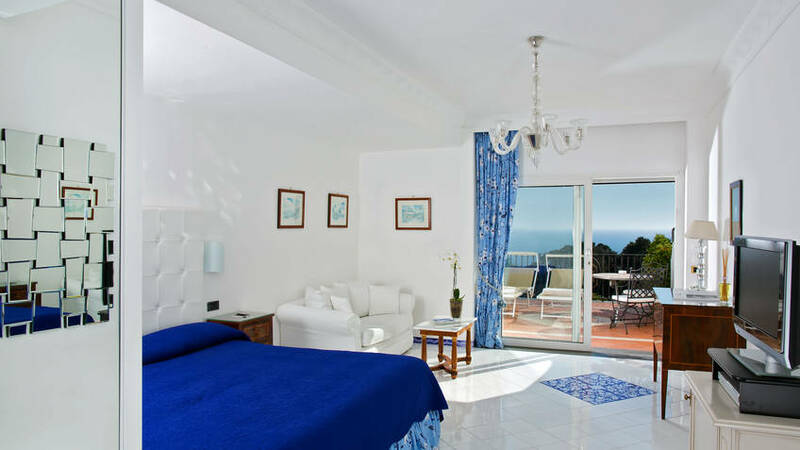 "The hotel has a spectacular view of the sea, one of the best on the whole island. " 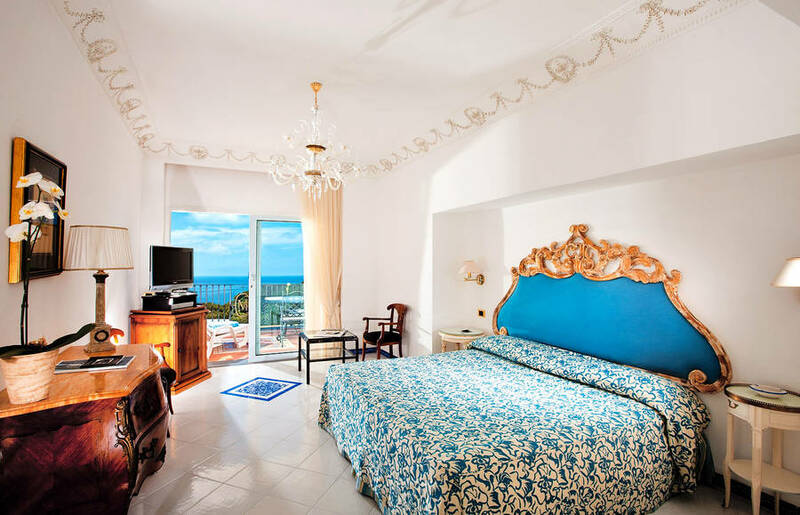 "The luxury of this hotel is in the details: the precious bed linen, the courtesy of the staff, the elegance of the bathrooms... "
"Over the top! Warm, amazing staff who made sure that our stay was over the top in every way. " 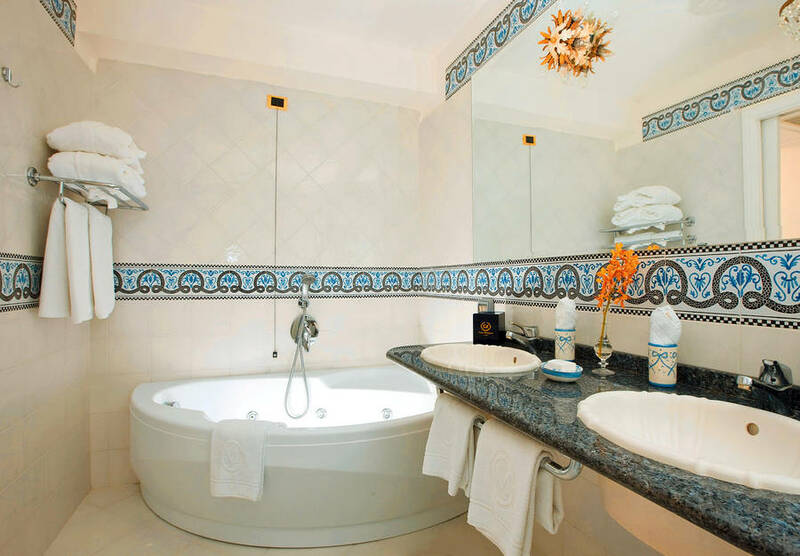 "Both bedroom and balcony were enormous, as was the bathroom equipped with hydromassage bathtub for two." 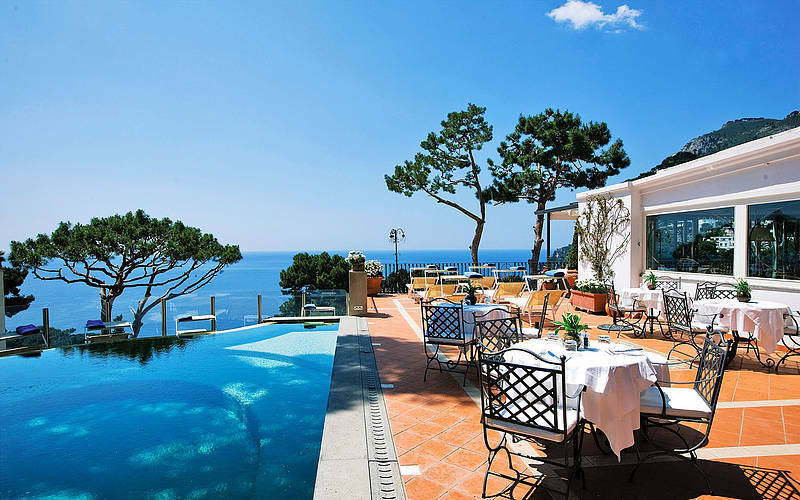 "Lunch by the pool is wonderful. There's no menu: the waiter simply lists the dishes of the day, or you can order anything you fancy and the chef will prepare it for you." 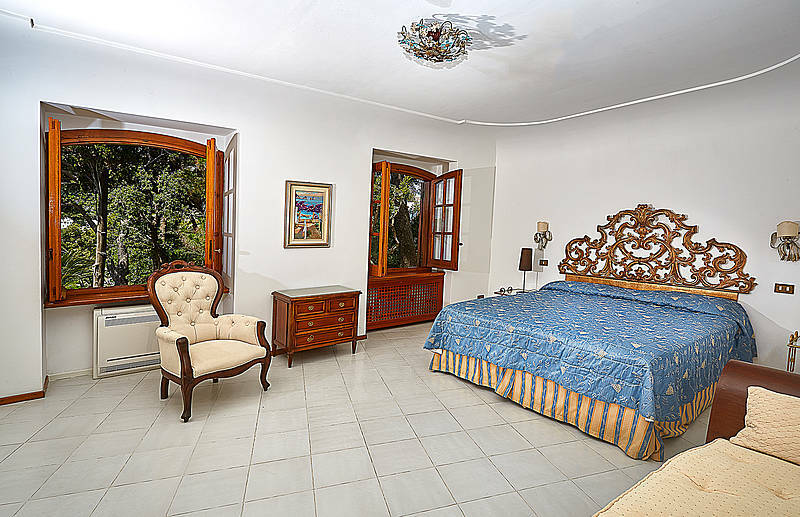 "We had such an amazing stay at Casa Morgano. We were treated so well by the incredible staff. 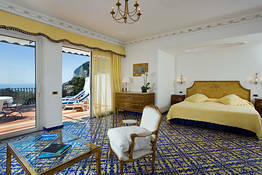 We try to come to Capri yearly, and we have finally found the hotel that we will be returning to next year"
"great hotel, beautiful rooms, marvelous views, staff attentive and always ready to help, generous and varied breakfast, spotlessly clean, a real gem. " 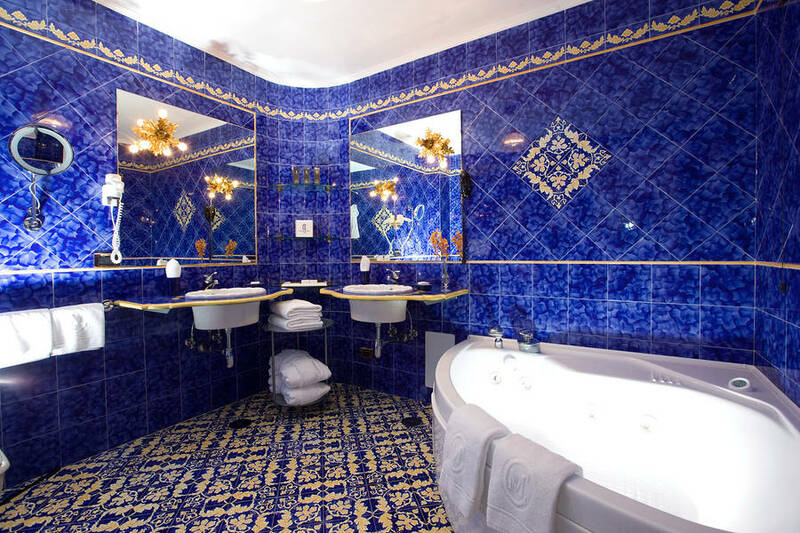 "Amazing hotel made you feel as if you were at home - just incredible"
"Service was exceptional and our suite was spacious and beautiful. 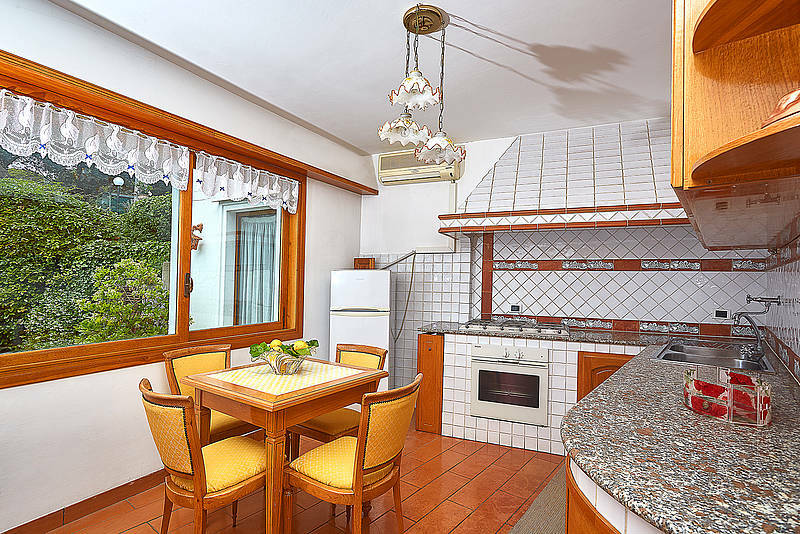 Location is ideal: quiet yet close to everything. " 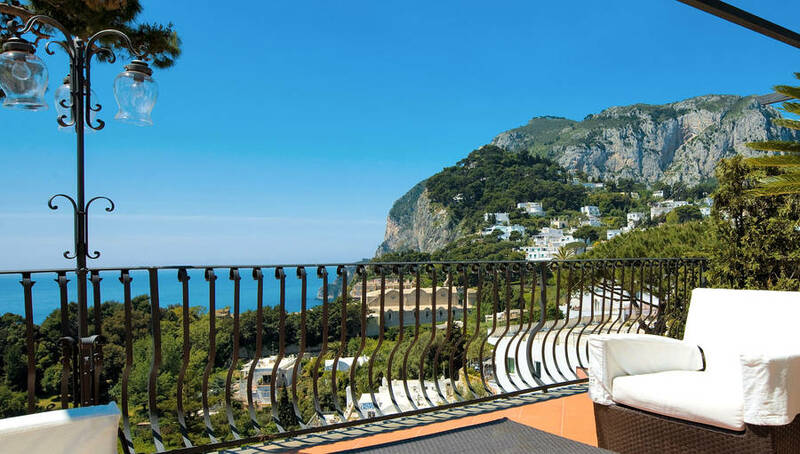 "really lovely, I just hope they don't lose their authentic Capri-ness in their attempt to meet foreign customers needs"
"I have to copy this comment: "We've never encountered staff quite as upbeat and attentive as at Casa Morgano. Simply unique" as mine. 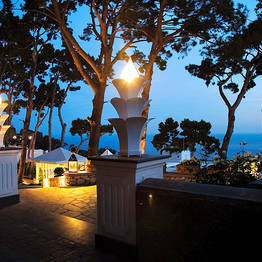 The best tables, places, reservations, exceptional!" 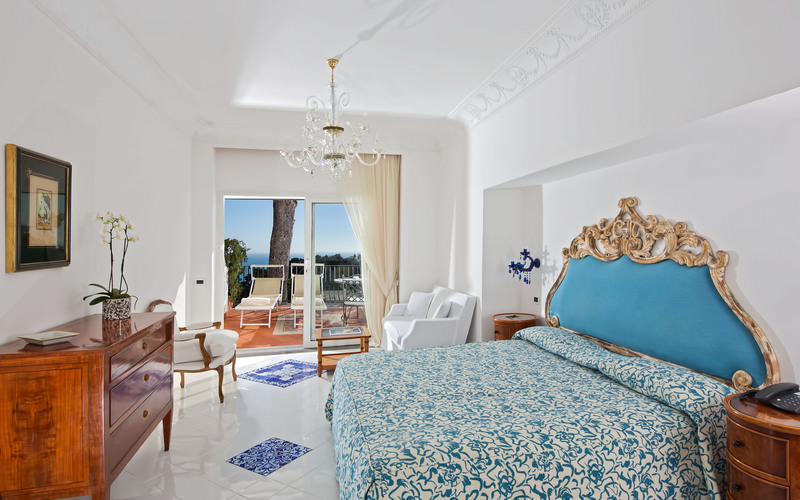 "Exceptional personalized service, our host at reception was extremely helpful in recommending how best to spend our limited time in Capri. " 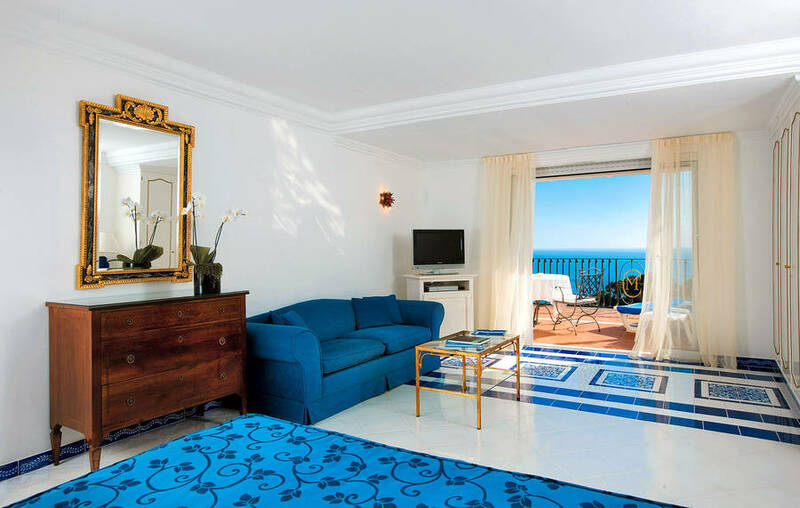 "Staff was excellent,everything was exceptional and fantastic.Next time-Casa Morgano only.It is the hotel you would like coming back." 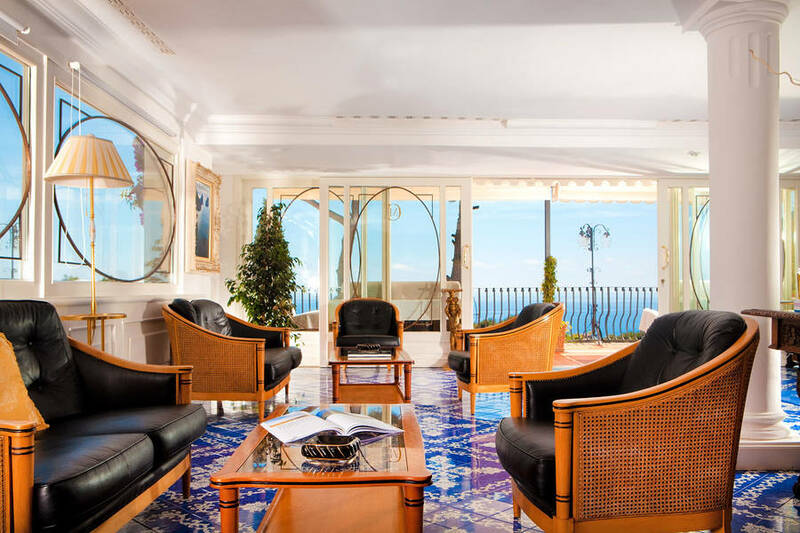 "Reception desk staff were fantastic - special thanks to Dalmenico and Luigi for their organisational skills - as was the very attentive Antonio at the swimming pool. Thanks guys - a brilliant hotel. " 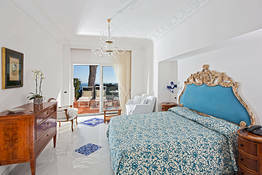 "Exceptional hotel & staff. Domenico, Luigi, Sebastian, Roberto at the front desk; Paolo the housekeeper; Robertino, Tonino, GianPaolo wait staff, all made our visit memorable. Will definitely return!!" 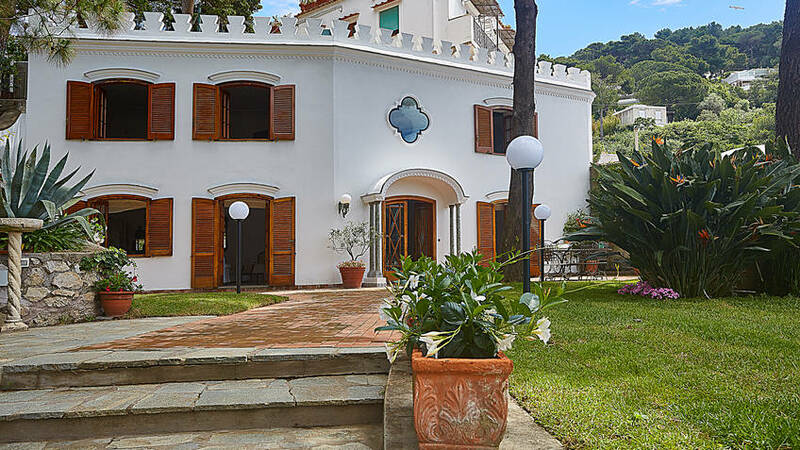 "We've never encountered staff quite as upbeat and attentive as at Casa Morgano. 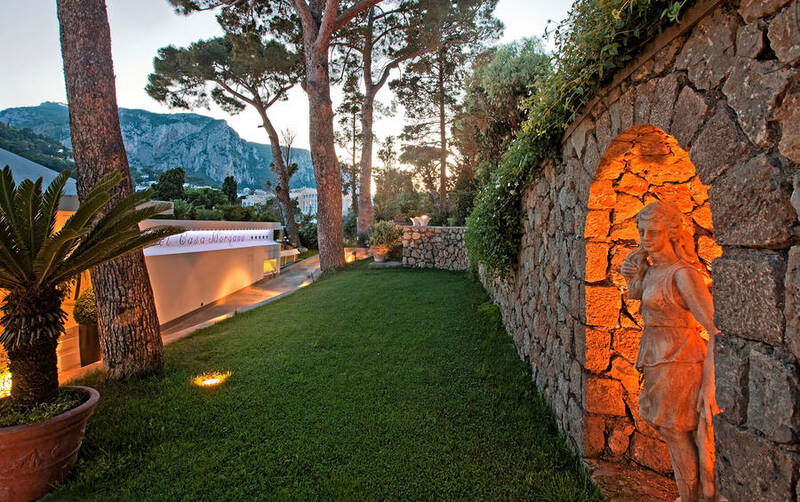 Simply unique, and a reason that we--who never like to go to same place twice--would come back to Capri/Casa Morgano!" 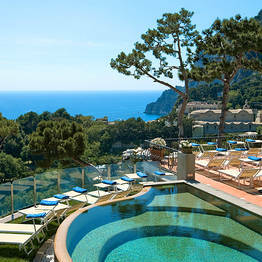 "Truly amazing place and the hotel was beautiful. 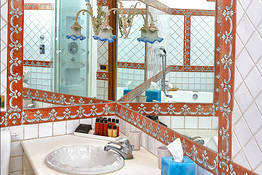 The online pictures are obviously of a much larger room, but all in all a very nice stay with great staff!" "We were celebrating our 8th anniversary. The hotel was wonderful & beautiful. They arranged a boat for a private sailing around the island, assisted with funicular tickets & baggage transfer. " 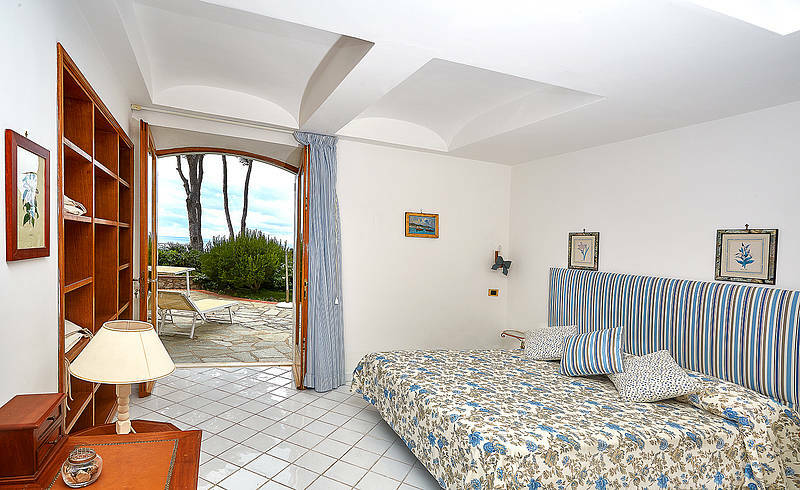 "Roberto, Domenico and Luigi were very friendly and helpful during our stay. The service was excellent." 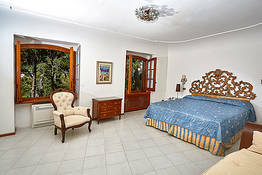 "Beautiful hotel, intimate, discrete and with an excellent location. Superb breakfast, included in the room rate. Excellent staff: friendly, polite and extremely attentive. " 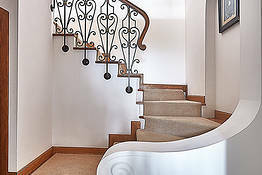 "The service is exceptional. 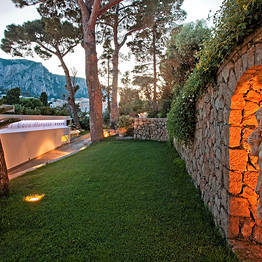 The hotel, set among Capri's lemon trees, cascading flowers & the ocean, is breathtaking. 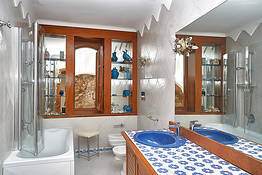 We agree, the bathrooms/tubs need to be updated, along with the headboard." 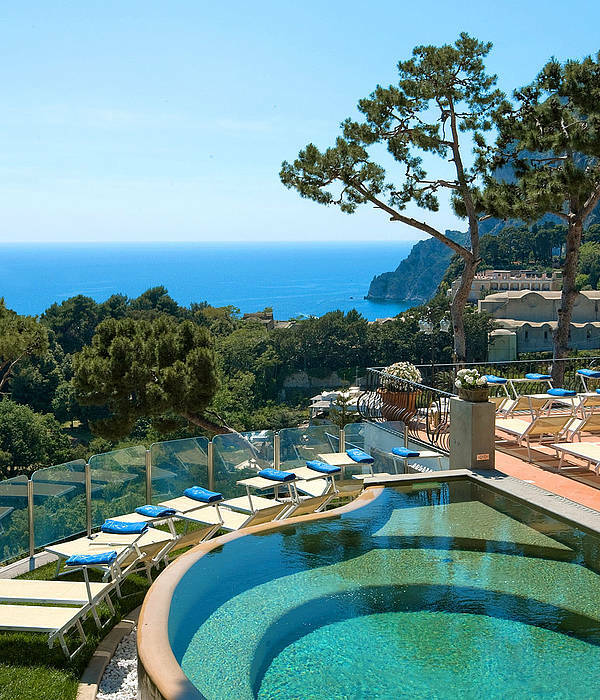 "This hotel was absolutely amazing. The highlight for me was absolutely the service. 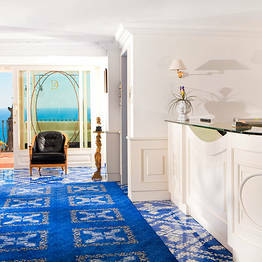 Domenico and the other front desk staff took care of literally every imaginable detail. 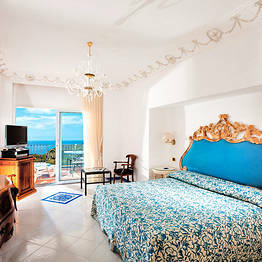 Our room was amazing." "Thank you for a wonderful stay. We loved it. Our second visit in 5 months. All of the staff were very kind and helpful. Thank you for the upgraded room!!" "absolutely heavenly experience. thank you for the stay. " 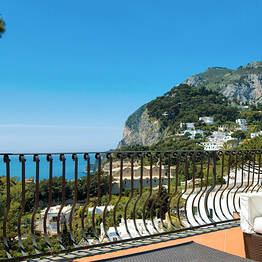 "It was exceptional, specially the quality of the service( Roberto and the other team member) , the view and the location. 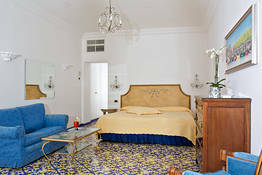 Nevertheless the rooms should be modernized. We will comeback with pleasure "
"The staff was wonderful.. The view is wonderful. I had emailed Roberto in advance asking for some specific requests in addition to making dinner reservations. Everything was taken care of. " "Perfect staff, lunch very nice"
"We had read that one of the things that you did upon check in was offer the guests a glass of wine. For the price of the hotel it would be an excellent customer service but it never happened." 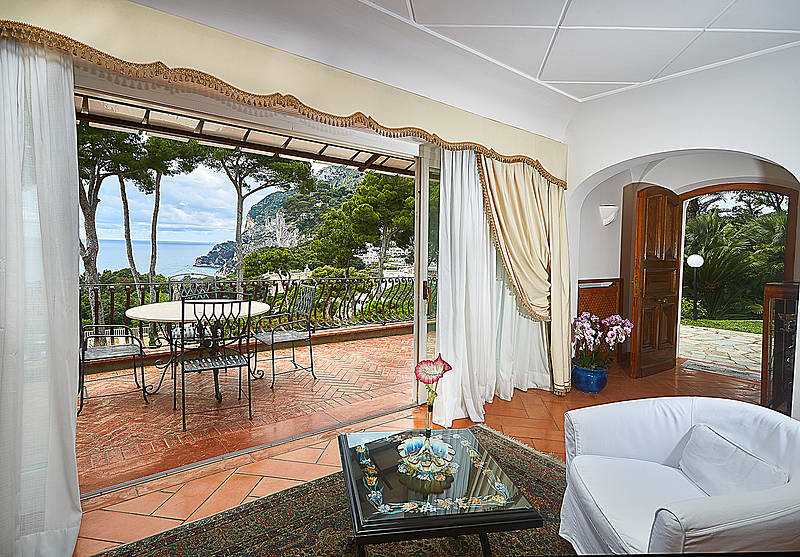 "Although the bed in our room was stiff as a board, we loved our time at Casa Morgano. The most helpful, friendly and genuinely interested staff we have ever come across. Wonderful memories." "...wonderful place on the earth." 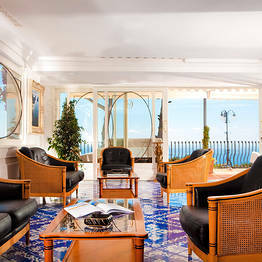 "Roberto was super-helpful, charming and hospitable, as were all the reception staff. 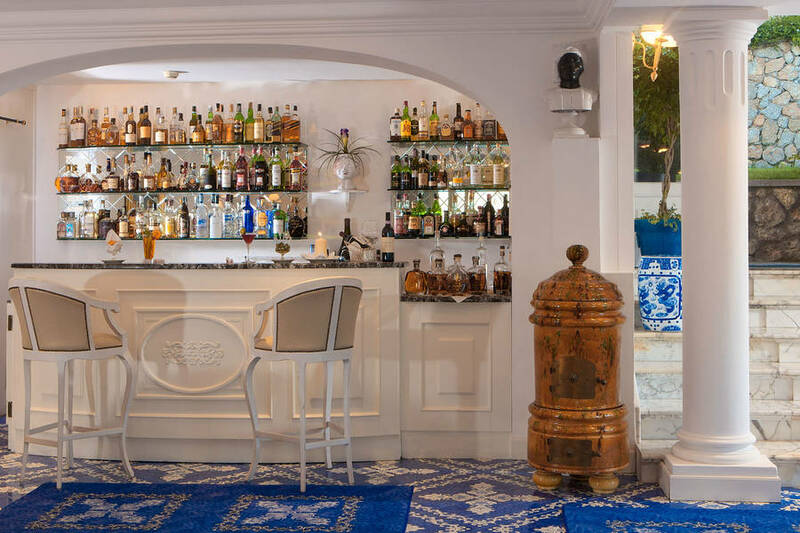 Impressively warm and welcoming." 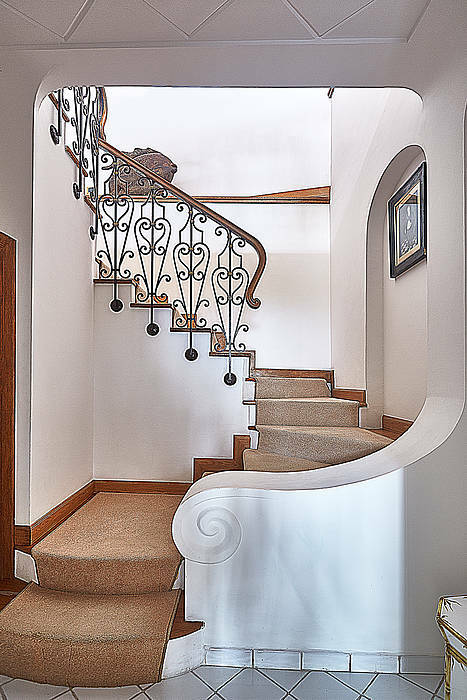 "The staff was exceptionally friendly and helpful. Wonderful visit!" "The staff is sooo kind. 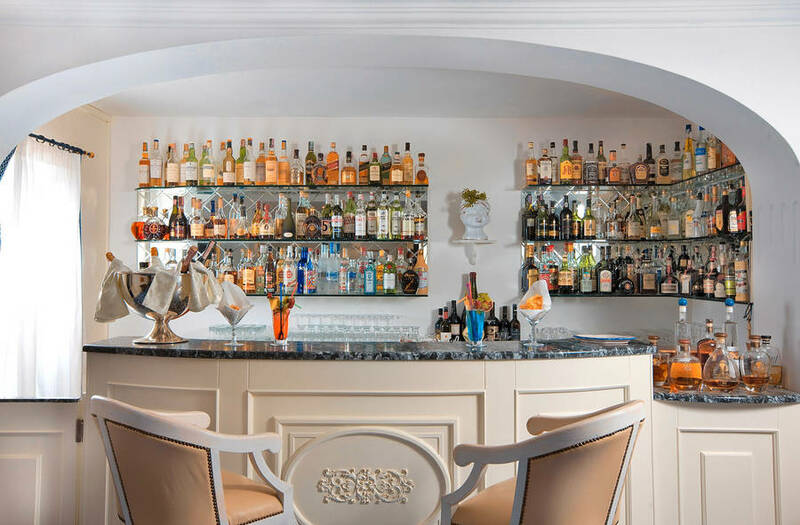 The bartender knows exactly what you need before you even think about it." "What an AMAZING experience. 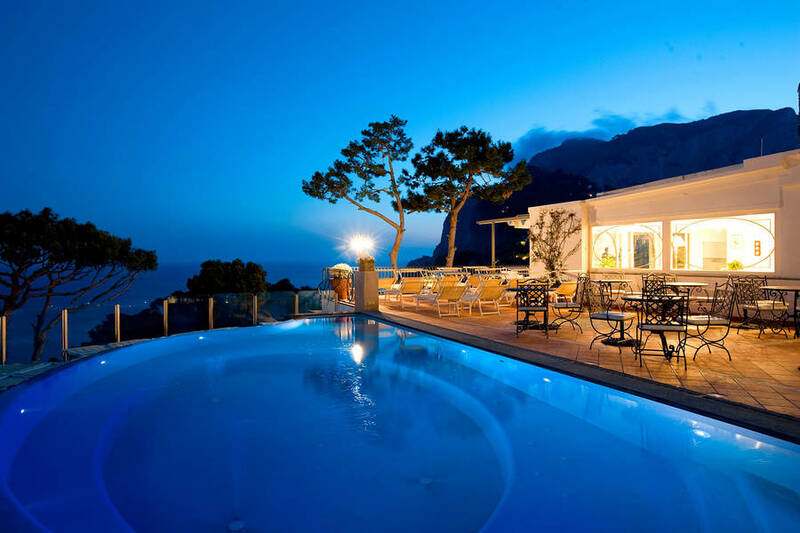 I've been to Capri 6 times and stayed on the island 4 out of 6 times. 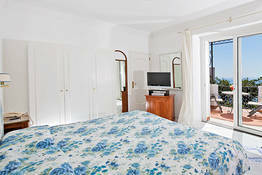 My stays have included an apartment, the Best Western, and The Quisisana-CM is the best so far!" 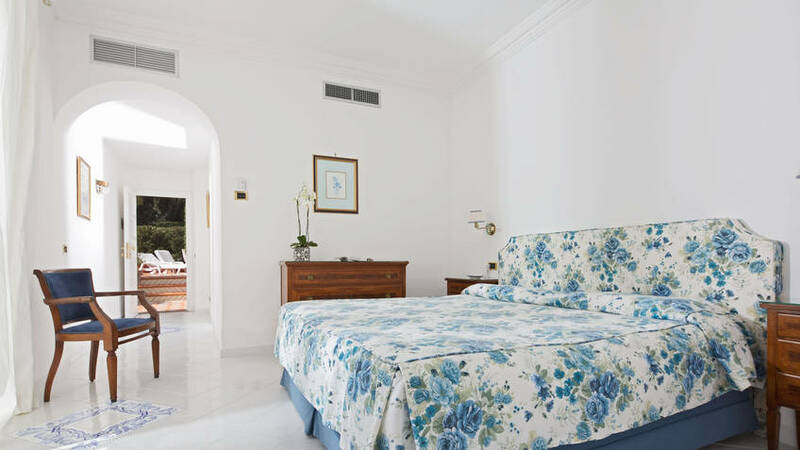 "A perfect stay. 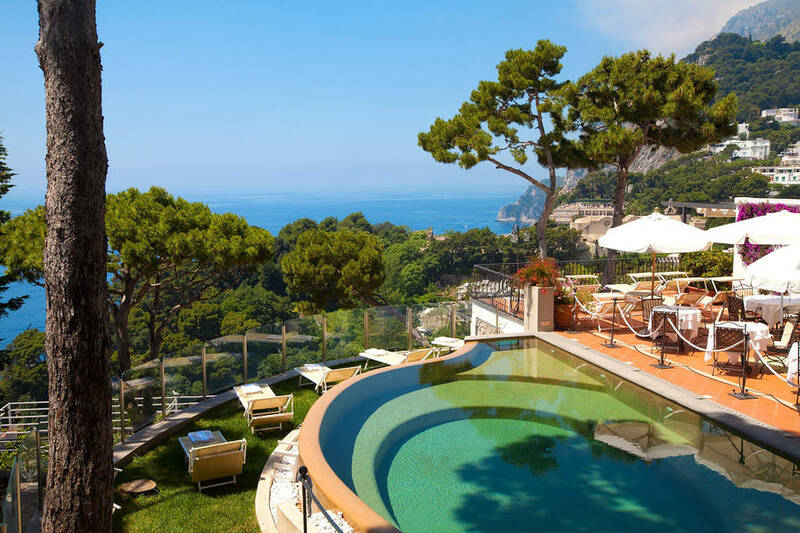 The staff was so helpful, enthusiastically directing us to experiences we'd have otherwise missed, and ensuring we were treated like insiders everywhere we went. " 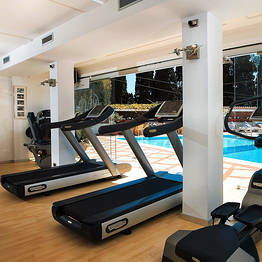 "Amazing service, fantastic gym (which meant we used it! ), brilliant location. Staff incredibly helpful and very charming, couldn't have done more. Breakfast very good. " "We thought the staff was friendlier than on our last visit three years ago. Very pleased with the hotel." "We had a fantastic stay. All the staff were very friendly and helpful." "Best service I have ever had at a hotel! " 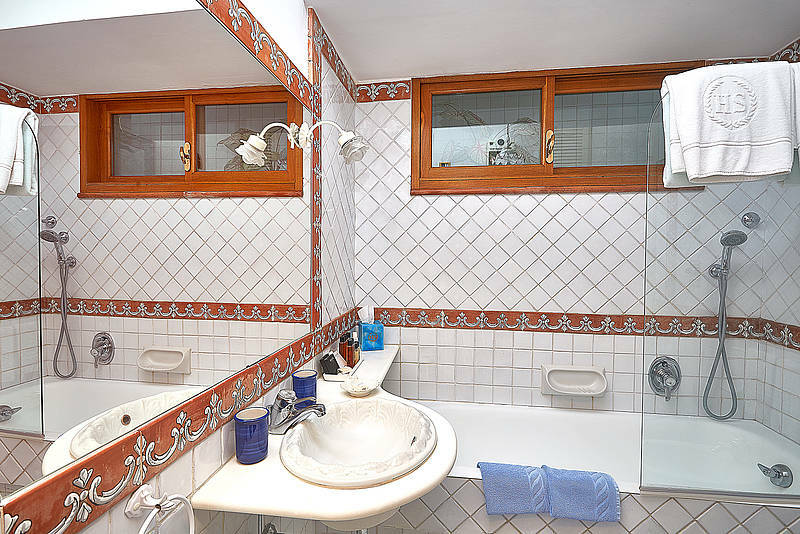 "Staff very Kind with great service. We enjoyed breakfast ans seaview. The only point of disappointment was the lack of restaurant for diner." "Everything was absolutely perfect. Thank you!" "We were making 20 years of marriage. It was fantastic. We have been to some 5 star hotels, but this one is the best !!!" "Really appreciated being met at the boat and directed where to go after a long day travel. Breakfasts leave a little to desired especially breads. Courtesy of staff outstanding." 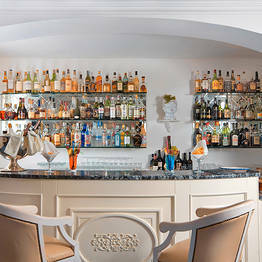 "Wonderful staff who were very attentive and helpful with dinner reservations and travel arrangements. Our room was very nice too with a beautiful view. Disappointed that the pool was closed." 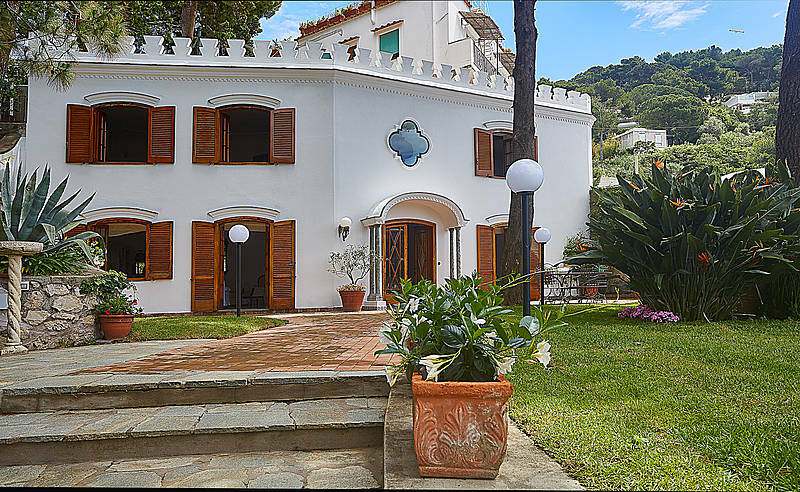 "Casa Morgano is a true GEM! We were given the royal treatment from the second we came til the moment we left. They were so professional, friendly, and caring. 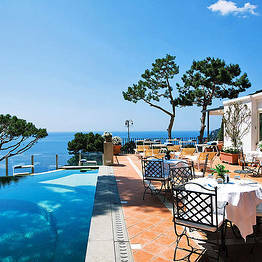 Beautiful hotel, views, & wonderful food!" 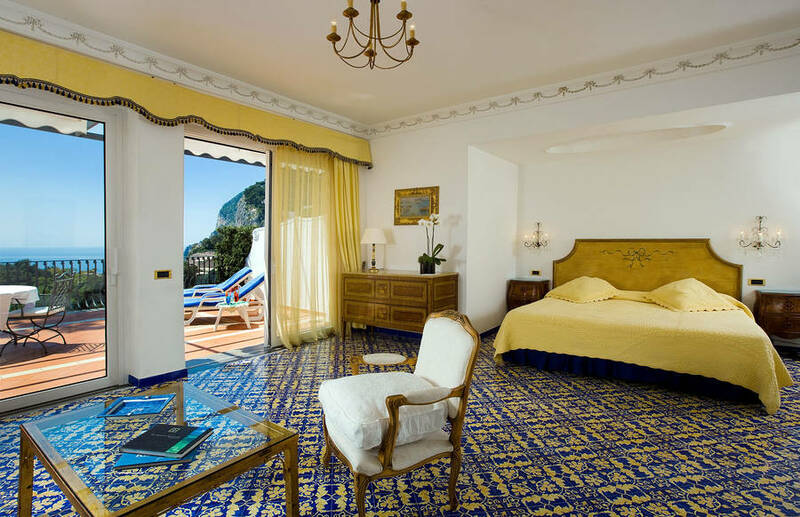 "The staff did an incredible job organising our excursions on the island as well as arrangements for our continued tour of the Amalfi coast. First class! " 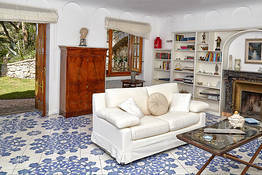 "We had a wonderful time at Casa Morgano. Especially like to thank Luigi, Domingo and Antonio for looking after us but we found all the staff to be excellent, attentive and polite. " "We feel very much at home here, and will return many more times. There are some minor touch up and repairs/maintenance that should be addressed though." 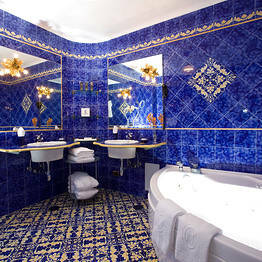 "My stay at this hotel was great the pictures online do it no justice. price was great, only issue was sound of door slamming from other room. " 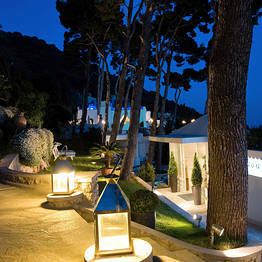 "One of the best hotels I ever stayed in my live. The staff was really kind and attentive. 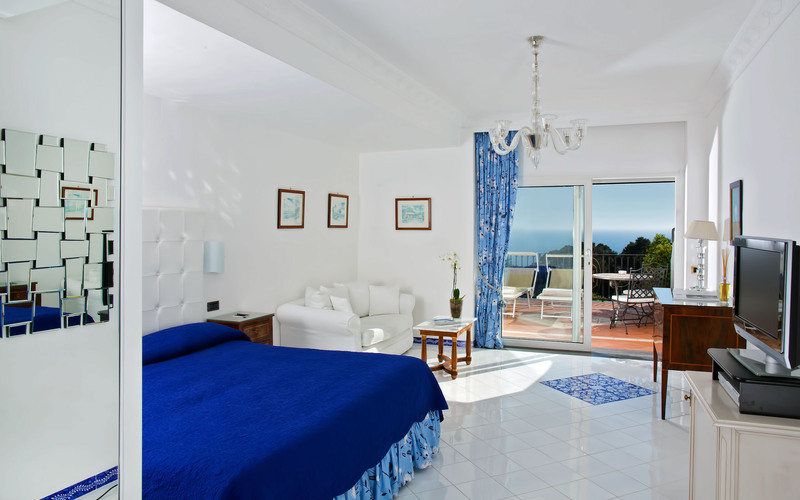 The seaview was great, as the pool and the room. The breakfast really nice too. I'll be back for sure!" 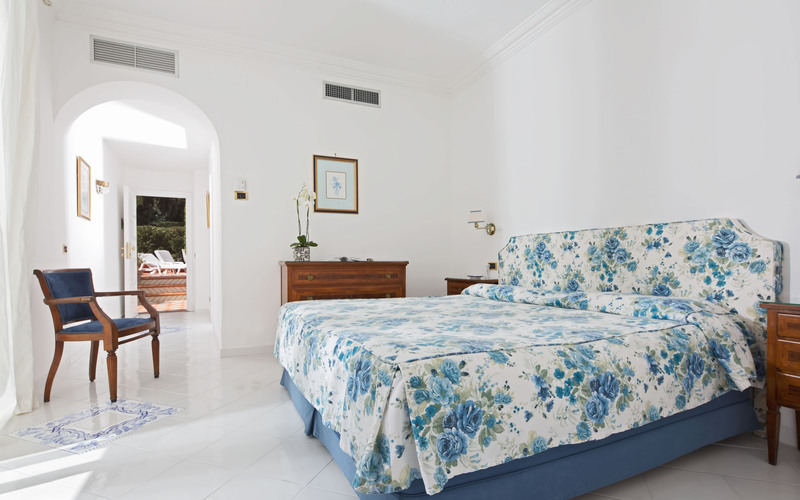 "Loved our stay so much especially your fresh breakfast cake each morning." 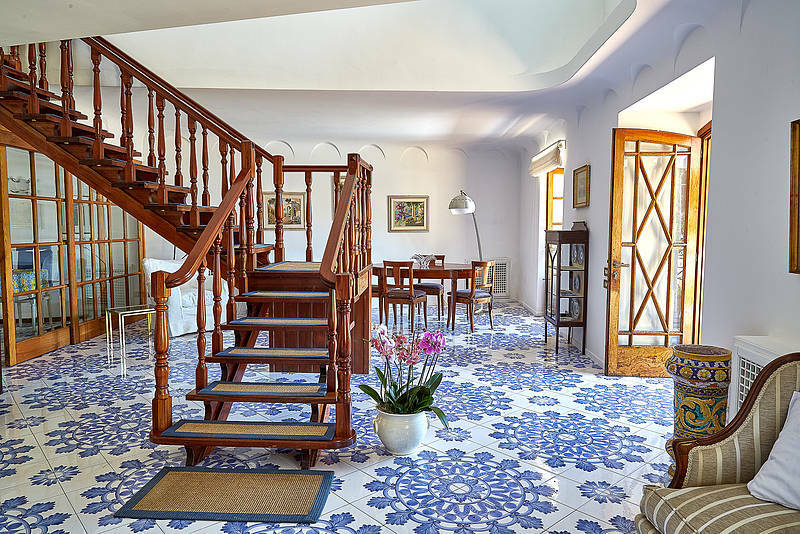 "Gracias Domenico y a todo el staff, muy amables y excelentes recomendaciones"
"We had a wonderful time.The staff made us feel welcome and was very attentive to all the details of our stay. We look forward to visiting again." 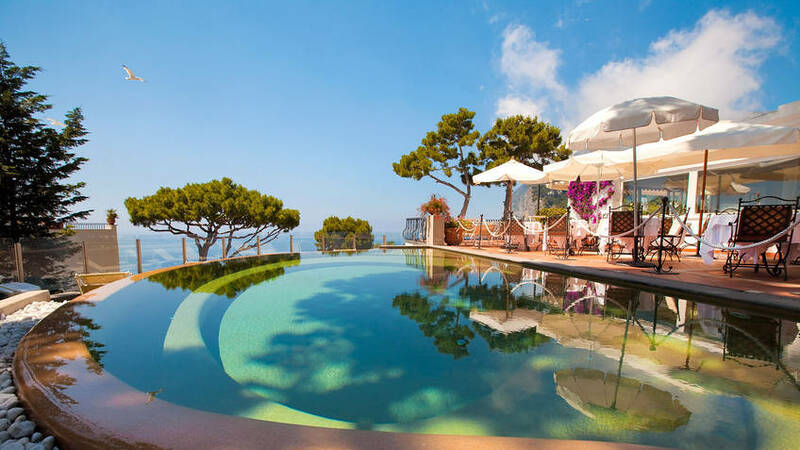 "The perfect spot for our honeymoon. Magical!" 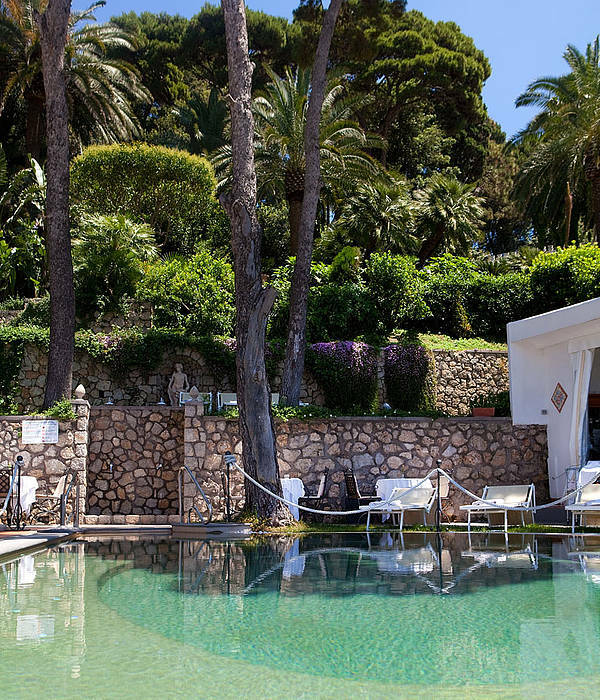 "A reciprocal programme with the adjoining sister hotel La Scalinatella would resolve the sometimes crammed situation at the small pool. " "Service was absolutely amazing. 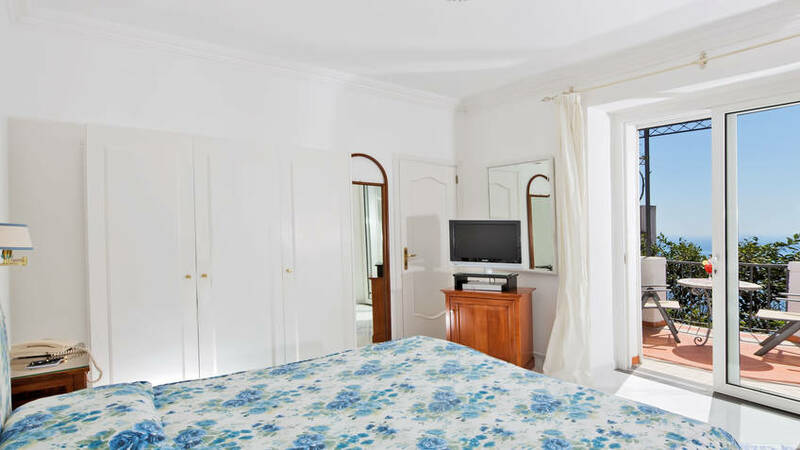 Rooms eyre nice but could use an update (particularly the bathrooms)." 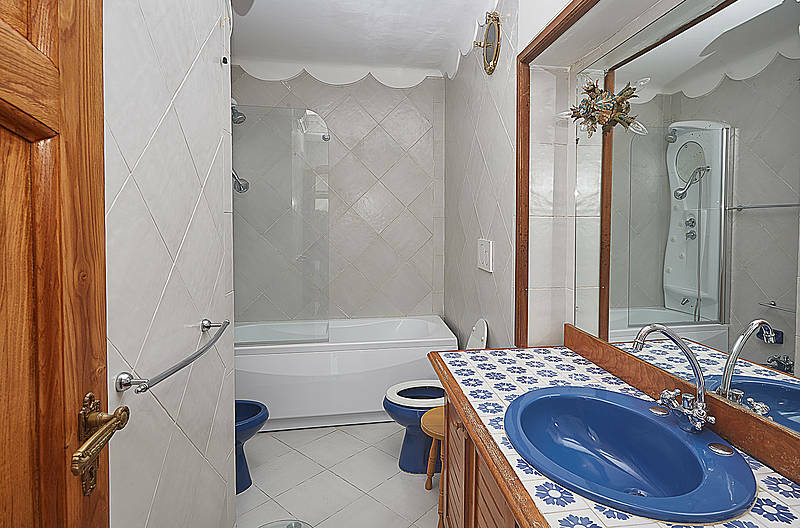 "The shower was average size in the small bathroom. 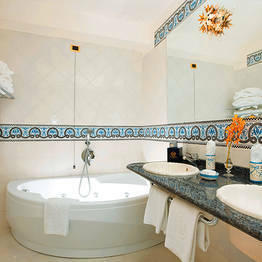 The big bath tub in the big bathroom, indeed took much space. Cont. breakfast a bit disappointing, freshly squeezed juices would be perfect to add!" 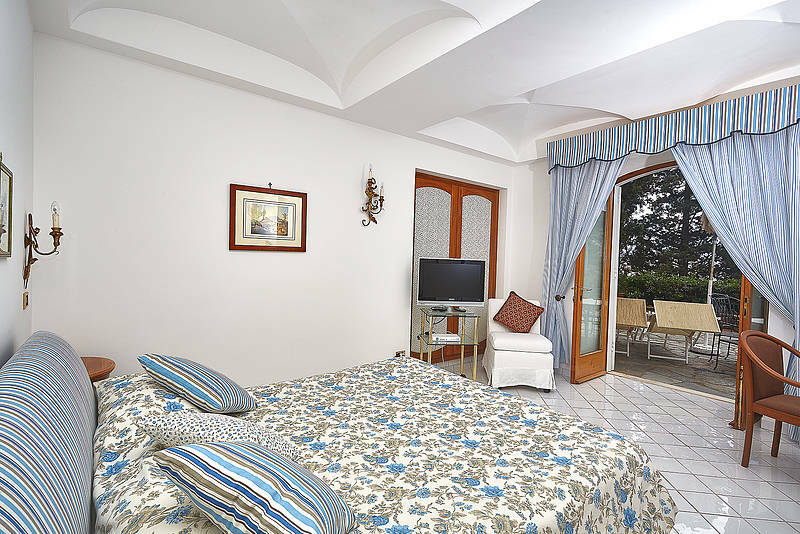 "Just romantic hotel for couples." 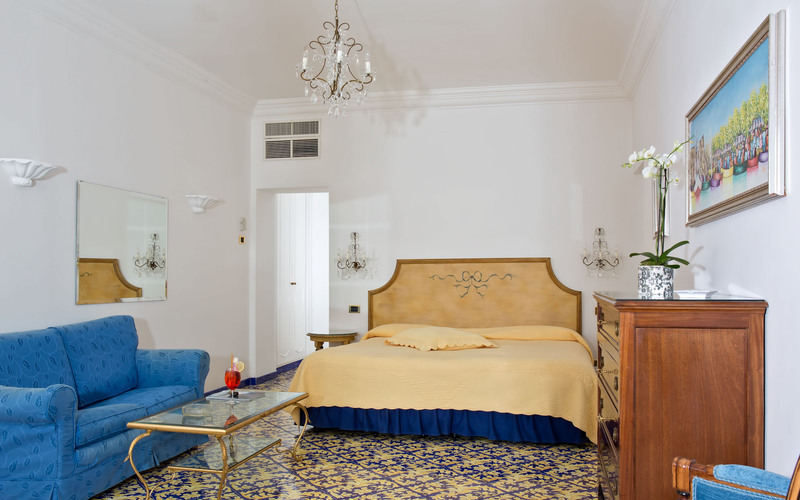 "I have stayed twice at Casa Morgano and wouldn't consider to stay anywhere else. " "The staff are wonderful. 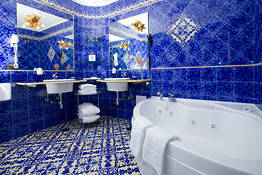 You are made to feel very special when you stay at the hotel, the service is faultless. " "The staff is THE BEST and really one of the main reasons we continue to stay here (5 times). 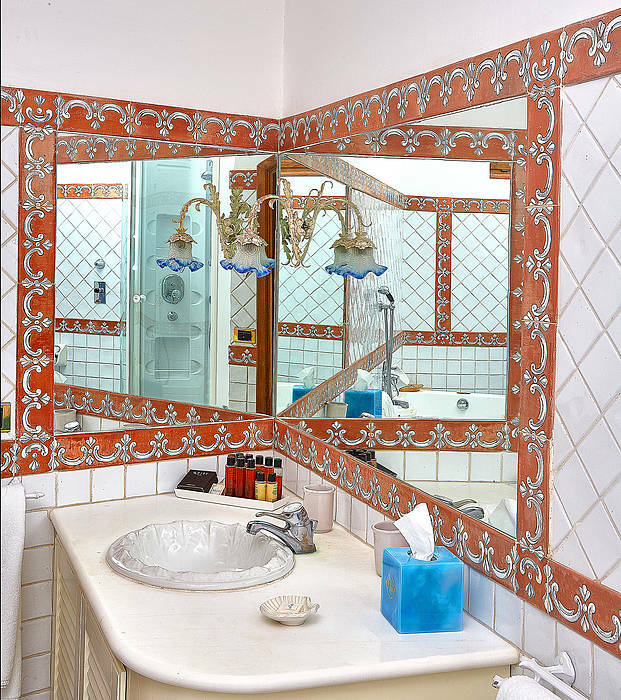 The bathrooms could use a little love. 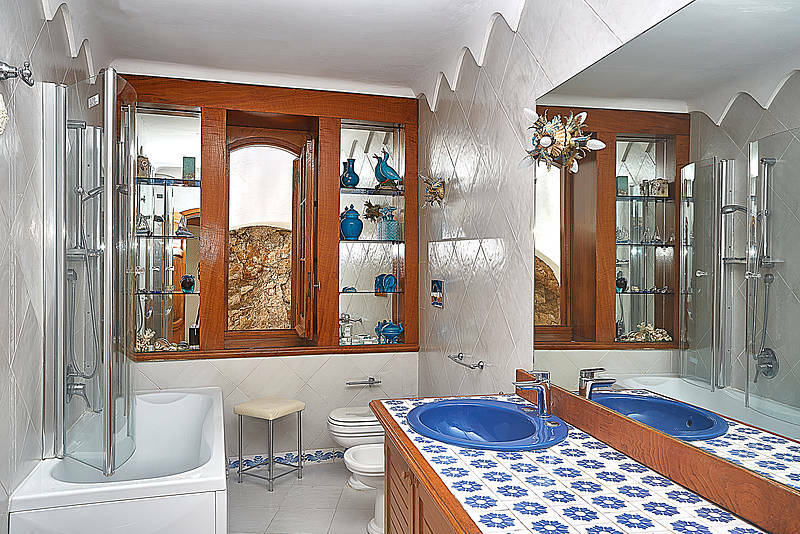 The showers in many rooms are very tiny." 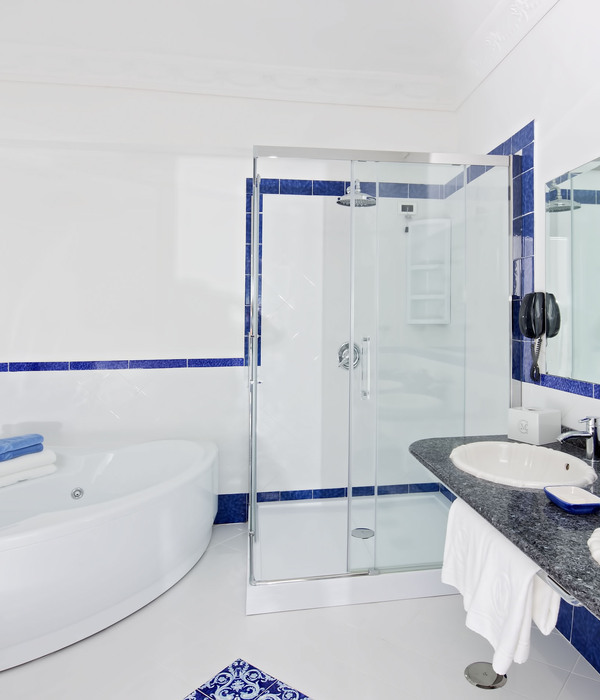 "Staff were excellent,location was excellent need to spend some money on overall refurbishment"
"Wonderful hotel with some of the best customer service I have ever encountered. " 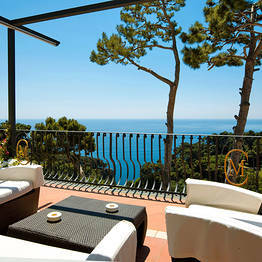 "We had wonderful days at Hotel Casa Morgano. This hotel was absolutely amazing. We were on honeymoon and it was certainly an excellent choice." "Internet access was terrible, The morning breakfast needs improvement." "The staff went above and beyond!!! 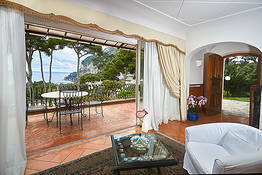 I will be restring as soon as possible and recommending the hotel to all I know!!" "The staff was so amazing. 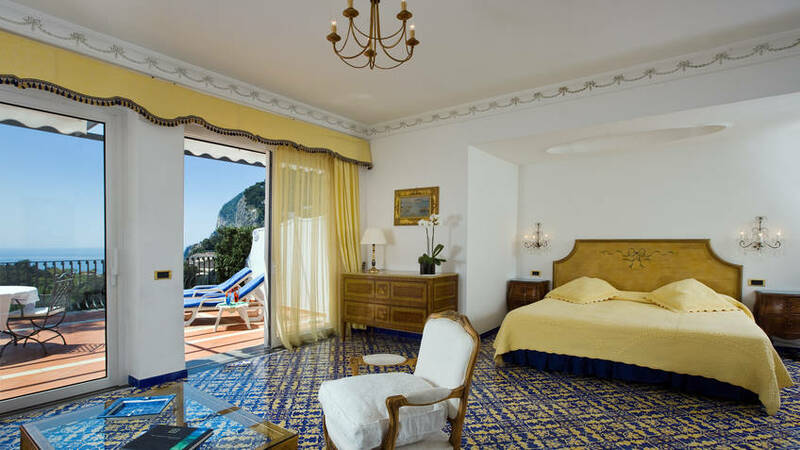 We left something in the room and were across the sea in Amalfi and they arranged to have the captain of a ship taking people over to Amalfi from Capri to bring it with him." "A lovely experience. The room was gorgeous and the view spectacular. The staff were most attentive. The trip to the pool was quite a journey and a bit of a disappointment when you finally got there." Hotel Casa Morgano is located on Via Tragara, the panoramic pathway which, from the center of Capri, leads all the way to the Belvedere Tragara viewing point. 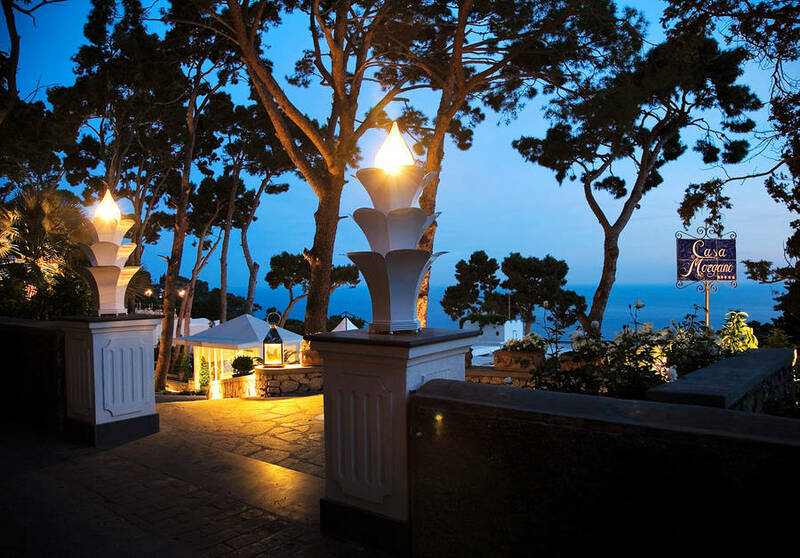 From the terraces of the hotel a spectacular view of the Charterhouse of San Giacomo and the sea of the Bay of Marina Piccola can be seen. 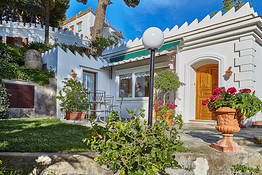 Book Casa Morgano on Capri.com now with no additional booking fees.